There’s nothing more objectionable than a clogged drain. Whether it’s soapy water pooling around your feet while taking your morning shower or stagnant dishwater belching up from the depths of your sink when you’re washing dishes, these are circumstances we know you’d rather not deal with today. If any of these or other problems are issues you’re having, contact us right away. We are here to meet your needs 24 hours a day, seven days a week. If you need our assistance, we can have a plumber to you in 90 minutes or less. We have a 100% rate of customer satisfaction because we keep our clients in the forefront of our thoughts and actions. We aim to treat every customer fairly. We have prices that can’t be beaten. We give potential clients written estimates in advance. And, when we leave the job, there’s no mess to clean up behind us. 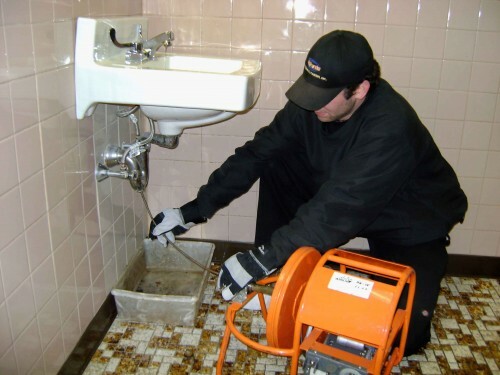 If you are in need of drain cleaning in Santa Clarita, call the best in the industry. We are here when you need us, and we take pride in our work. We aim to be the best in the business, and, according to our customers, our customer service in unsurpassable by any other company in the area. Call today for all your drain cleaning and sewer line repair needs.